The Winona Ryder and Keanu Reeves reunion we've been waiting for since Bram Stoker's Dracula (and A Scanner Darkly, I guess) is here, and this time there's very little bloodshed or paranoia. Plenty of meet cutes, though, which could be just as distasteful depending on your attitude towards rom-coms. Destination Wedding is the new comedy starring the '90s heartthrobs, and it finds them falling in love at, you guessed it, a destination wedding. Written and directed by Victoria Levin, the film centers on cynical and generally unpleasant wedding guests Frank and Lindsay. After a disastrous encounter at the airport on their way to a friend's nuptials in Italy, the two are forced together again which is when the ice in their hearts begins to melt. The worse thing a wedding guest can do is upstage the engaged couple, but I'm guessing that's exactly what will happen here. This actually looks pretty harmless and could end up being quite enjoyable. Reeves and Ryder still have "it", that intangible quality that makes them likable no matter what. And Levin, who previously directed the Anton Yelchin/Berenice Marlohe romance 5 to 7, knows his way around a complicated affair of the heart. 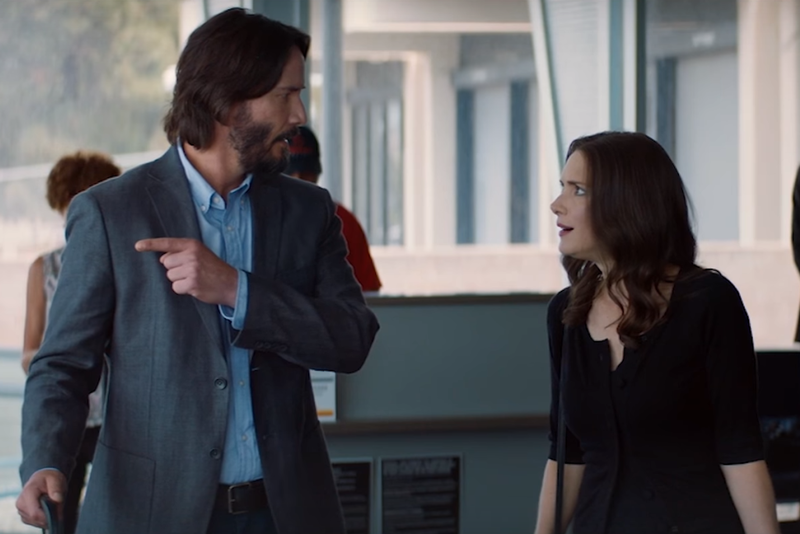 Here is the official synopsis: DESTINATION WEDDING reunites two of Hollywood’s most adored stars, Keanu Reeves and Winona Ryder, as the socially awkward Frank and Lindsay. When they meet on their way to a destination wedding, they soon discover they have a lot in common: they both hate the bride, the groom, the wedding, themselves, and most especially each other. As the weekend’s events continually force them together – and their cheerlessness immediately isolates them from the other guests – Frank and Lindsay find that if you verbally spar with someone long enough, anything can happen. When debate gives way to desire, they must decide which is stronger: their hearts or their common sense. Destination Wedding opens August 24th.